HERE IS THE STANDARD CAB SHORT BED TRUCK YOU HAVE BEEN LOOKING FOR!!! 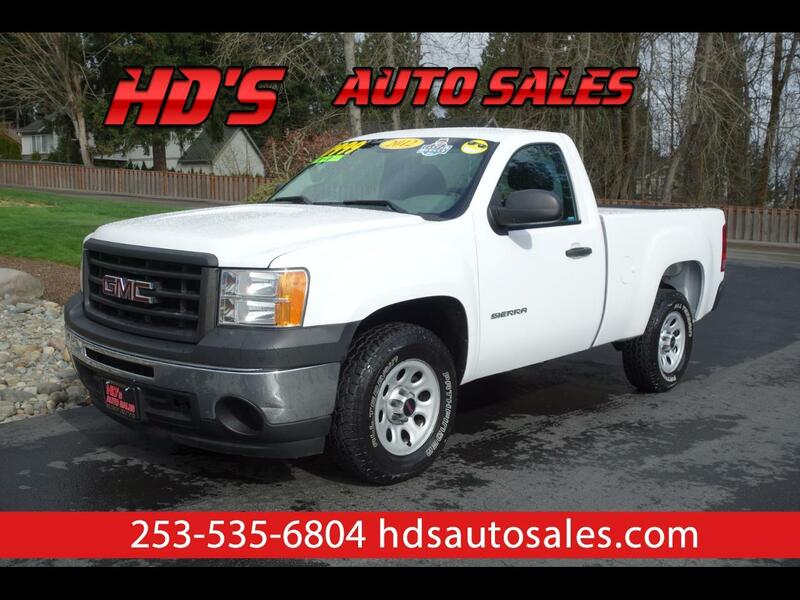 THIS 2012 GMC SIERRA C1500 COMES WITH THE 4.8L V8 ENGINE AND AN AUTOMATIC TRANSMISSION!!! THIS CLEAN LITTLE TRUCK EVEN COMES WITH A LOCAL 1-OWNER/NO ACCIDENT CARFAX REPORT SHOWING IT WAS BOUGHT BRAND NEW RIGHT HERE IN WASHINGTON AND NEVER LEFT!!! IT EVEN SHOWS LOTS OF GM DEALERSHIP MAINTENANCE!!! JUST THE PERFECT SMALL V8 PICKUP!! !